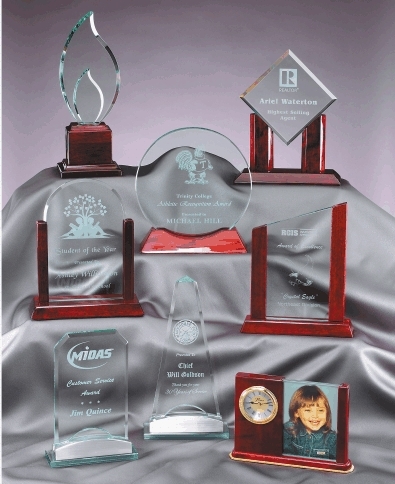 Incredible Engravings strives to offer engraved glass awards from only premium suppliers. Click here for some of the most popular glass awards. Many Glass Award shapes and style are available. 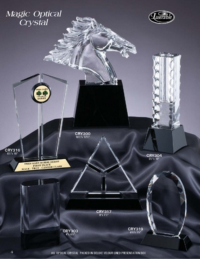 When you want the very best engraved Glass and Crystal Awards: Crystal D, Home of “The WOW Effect“. 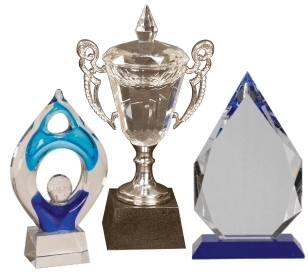 When you want to honor your best clients or employees with a crystal award that will make a lasting impact, choose Crystal D. Crystal D has as award for any occasion or event that will make an incredible impression on the recipient. Made in the USA. There is no grander display, or a more awe-inspiring sight, then the flight of an eagle. The eagle is a symbol of freedom, independence and self-determination. 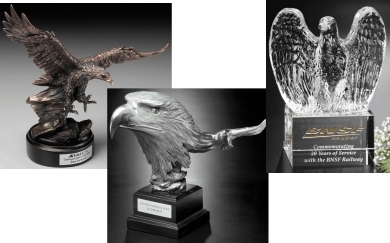 Honor self-determined individuals who soar to new heights and achieve ultimate success with the Freedom Eagle. Click here to view more eagles.